Piece of Speaks: Albie Casiño Finally Speaks Out About Controversy With Preggy Ex-Gf Andi Eigenman! Albie Casiño Finally Speaks Out About Controversy With Preggy Ex-Gf Andi Eigenman! 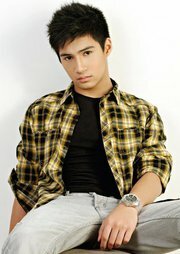 Albie Casiño finally speaks about controversy with her ex-girlfriend and preggy Andi Eigenman. During the press conference of the horror film 'Aswang' which is top billed by Lovi Poe, Paulo Avelino and Jilian Ward, the Mara Clara teen actor was cornered by press people. Asked if he is ready to face the father figure of Eigenman's unborn baby. "Handa kong panagutan kung mapatunayan na anak ko talaga." So the DNA test is still an option for confirmation. If the Paternity test points towards him, what will happen? He humbly answered "Sure, I will pursue to ask forgiveness". "I wish her the best", he continued. He added, "I don’t like quitting, I'm going to finish it". Aswang will open on November 2, 2011! online casino games in malaysia I really appreciate the kind words. I would encourage you to keep reading and pass it along. I love feedback!Very helpful suggestions that help in the optimizing website. thank for sharing the link.